On April 3rd, 2014, I had the pleasure to attend an informative seminar at Microsoft's North East Research and Development Center (NERD) in Boston. 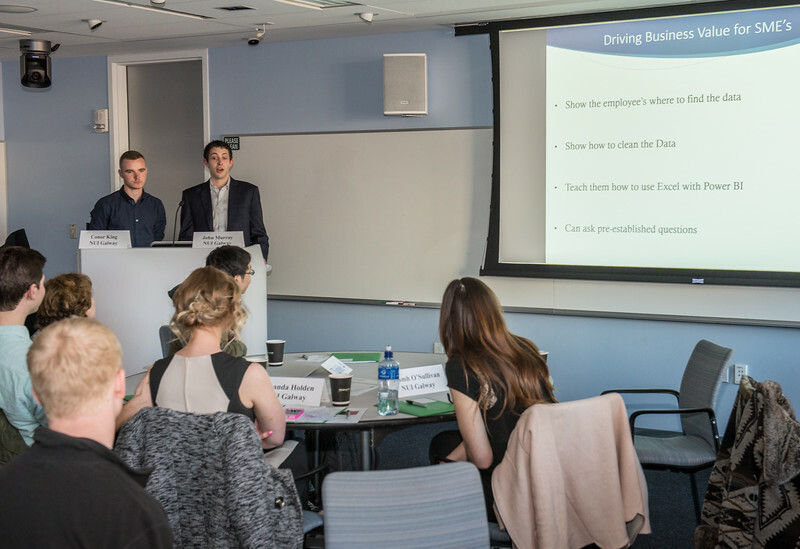 It was organized by my brother-in-law Gino Sorcinelli and featured students from his Business Technology course at UMass and students from the University of Ireland Galway. During the semester, both groups of students had collaborated on research projects using Microsoft tele-conferencing software via the Microsoft Cloud. It was a inspirational insight into the power of cross cultural collaboration made possible through 21st century technology.